Most chicken farming equipment manufacturers manage to prepare to raise layer chickens for the purpose of incentive prospective of poultry farming. Chicken layer cages for sale in Zhengzhou Livi Machinery Manufacturing Co.,Ltd hold the view that poultry farmers should consider the whole set of layer cages equipment, and before you purchase the chicken layer cages for sale, Livi would like to give you the specifications of layer chicken cages. You should bear in mind that how many layer chickens would you like to rear, and what is the exact area of your layer chicken shed.We will give you an example and you can take it as a reference. If you use three 4-tier of A-Type cages, the size of the house is about 100 meters long, 11.5 meters wide, and the height of eaves is about 3.5 meters. Each group contains 47 cages, the total number of rearing chickens is about 18 thousand. Or if you use 4-tier stacked chicken cages, the standard size of the house is about 100 meters long, 13 meters wide, and chicken coop is about 3.5 meters high, the number of each cage contains 39 groups, and the total number of rearing chickens is about 35 thousand. Therefore, you should calculate the volume of your shed area and quantities of layer chickens. And Livi can give you the best scheme to improve your poultry farming successfully. 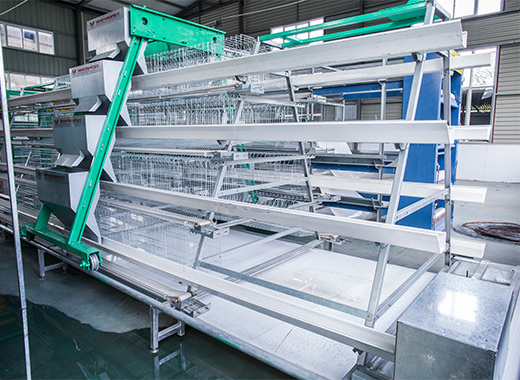 Full set of chicken layer cages for sale adopt progressive plating process of hot galvanized, with the features of corrosion-resistant, and cages life can keep up to 15-20 years. Poultry farmers can manage it intensively and automatically, which make the feeding system, drinking system, poultry manure removal system, egg collection system coming into an automatic era, and improving labor productivity and saving labor costs largely. Poultry farming can achieve unprecedented scale of up to 10 high-density farming that can save land, and reduce construction investment and management costs, which are all suitable for enclosed house, automatic control of ventilation and temperature so that ensure the chicken coop environment. A-Type Chicken Layer Cages for Sale have the structure of stable and durable, and full set of chicken layer cages for sale adopt progressive plating process of hot galvanized. Poultry equipment system employ automatic feeding, drinking, cleaning, pick up eggs, centralized management, and automatic control system, which guarantee the energy conservation. The design of automatic feeding trolley system structure is reasonable for adjusting the height of the feeder and the feeding volume. 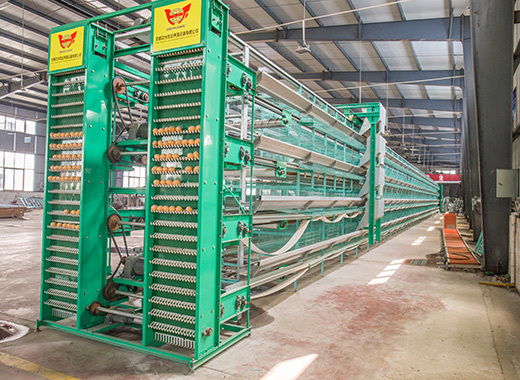 It is efficient for automatic egg collection system to improve the productivity of labour and reduce the rate of broken eggs. Moreover, adopting scraping type of cleaning manure can reduce environmental pollution and increase cleaning efficiency. 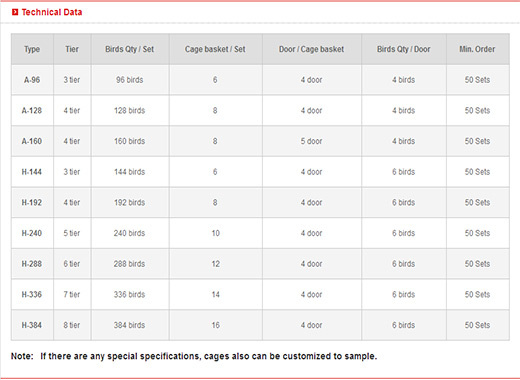 Considering all above these, Livi would really recommend you to think of the chicken layer cages for sale in our company. Welcome to visit our website for more posts and updates.